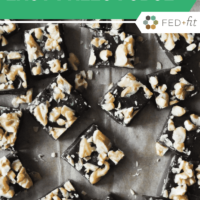 This Paleo Fudge is lightly sweetened with maple syrup, made rich and creamy with full fat coconut milk and butter, and has an irresistible deep, chocolaty flavor that anyone would love! Sometimes I feel like a rebel without a cause in my own kitchen. 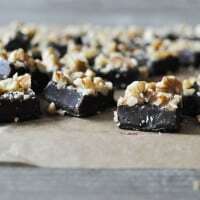 I'm a nutrition consultant and a Paleo recipe developer …and I'm making Paleo fudge? 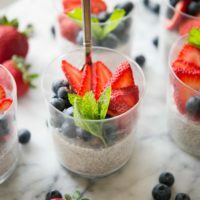 Isn't the point of a Paleo lifestyle to focus on WHOLE foods and avoid all that sugary, processed stuff that has contributed to our epidemic of declining health? Yes! Absolutely. Whole, real foods and a lot of fun fitness activities are the tools I used to turn my own health around. But in my heart of hearts, I still believe there's room for fudge. Each holiday season, I make it my job to come up with the perfect food-related gift for all my family members, neighbors, coworkers, and mailmen. Two years ago, I made 3 dozen of these Dark Chocolate Truffles and last year, I made dozens of these Hot Chocolate Sticks. They're always a hit and it makes me feel like a superhero to provide people with a relatively safe sweet treat. This year, everyone's getting a few squares of my favorite fudge on earth. 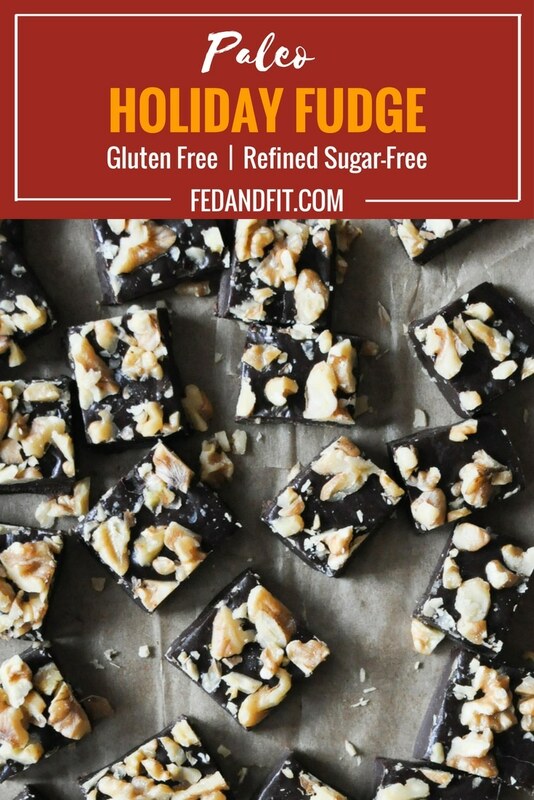 THIS Paleo fudge! Chocolate fudge can come with a variety of standards, practices, and desirable finishes. I like my fudge extra buttery, not too sweet, smooth almost like caramel, and with a little crunch from a soft nut (like a walnut). Sweetened with maple syrup (though, the finished product has no maple flavor) and made creamy by full-fat coconut milk plus a whole stick of grass-fed butter, your giftees will be hailing you queen (or king) of holiday sweet treats. And please, when the rave reviews start coming in, do me a favor and take the credit. 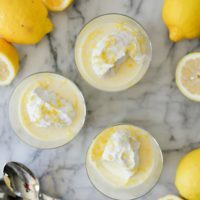 You're a thoughtful kitchen diva spreading good will and tasty treats – you deserve every little praise that comes your way. In a heavy pot (like enameled cast iron), melt the 1 stick butter over medium heat. When the butter is melted, add the maple syrup and coconut milk. Whisk to combine and continue to stir until the mixture starts to bubble and increase in volume significantly – it will almost double. At this point, add the chocolate chips and stir over medium heat for about 10-15 minutes, or until it reaches “soft ball” temperature (234 F) on a candy thermometer. Note that as the chocolate reaches temperature, it will start to separate from the butter – this is normal. Once it reaches temperature and cools back down, it will easily come back together into a consistent mixture. After it reaches temperature, remove from the heat and and continue to stir with either a whisk or spoon until it stops bubbling and the mixture comes back together (it will start to look more like smooth melted fudge). At this point, stir in the vanilla extract. Lay a piece of parchment paper in either a 9×9 or similarly-sized baking sheet. Pour the hot fudge into the pan and smooth it out into an even layer. 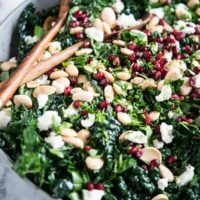 Sprinkle with the chopped walnuts and place in the refrigerator until it hardens for approximately 3 hours or overnight. 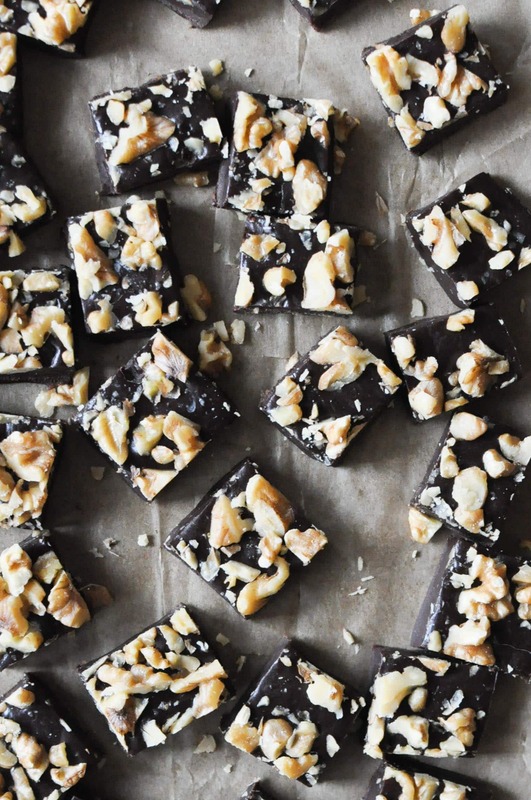 Using a sharp knife, cut the fudge into even squares. Wrap up in small bags for gifts or plate to enjoy! Keep stored in the refrigerator if you aren't serving it right away. Your opinion on a healthy lifestyle containing room for some indulgence is why I keep coming back! This fudge looks divine, and way less scary than normal fudge recipes (sweetened condensed milk eeks me out for whatever reason). 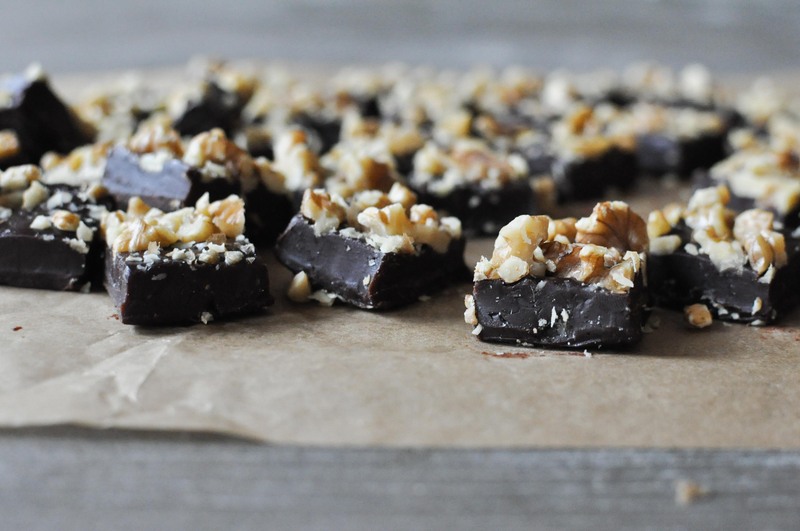 This fudge is delicious and it was extremely easy to make! 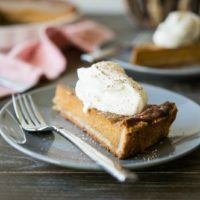 My friends and family devoured it–I plan on making two more batches to share on Christmas Eve and Christmas day. Thanks! can you substitute ghee for butter? If so how much? I can”t have dairy. If my fudge just kept separating more and more once I took it off the heat, did I let it go too long? I used a thermometer and let it get to that temp but trying to figure out why it never combined back? Thank you. It could have gone a little too long. Did it come back together once it cooled? I just spread it in a pan at the consistency it was but the butter never full immersed back into the mixture. I threw it in the freezer for a bit and just tasted it—flavor is great it’s just a bit “gritty.” Thank you for the recipe! I will try again! Mine didn’t set quite right– texture is lovely, but its more like ganache that fudge. Did I not let it cook long enough? Do you think I could melt it back down and cook it longer? Chemistry is tough. lol. Is it one stick of butter or 8oz? The sticks I have are 4oz. Thank you!